Prime Minister Theresa May's government said doctors and nurses working in the state-run National Health Service (NHS) would be excluded from an annual cap on skilled workers from outside the European Union. 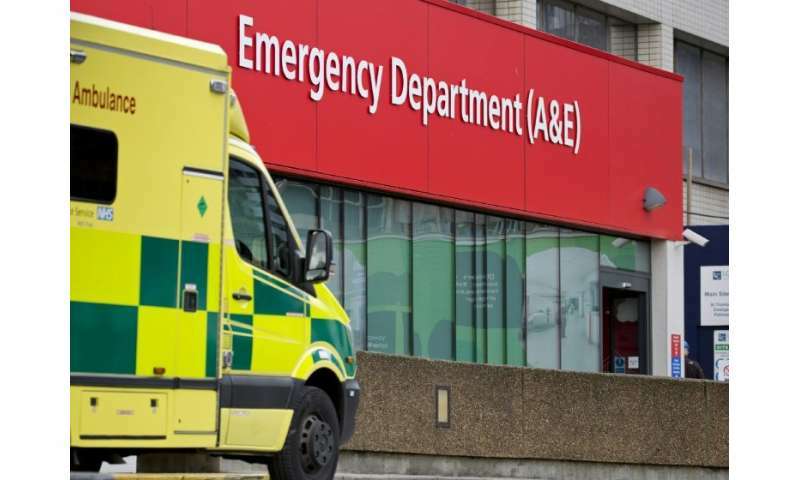 May introduced the cap in 2010 when she was interior minister but has faced growing demands from the healthcare sector to review it due to a shortage of staff that has left hundreds of NHS posts unfilled. The annual limit of 20,700 on all non-EU skilled workers, broken down into monthly quotas, has been breached every month since December. The British Medical Journal says this has led to more than 1,500 doctors with job offers being refused visas in recent months. Many fear the shortages will only become worse when Britain leaves the European Union and the bloc's citizens lose their automatic right to work in the UK. EU nationals currently make up almost 10 percent of doctors and seven percent of nurses, according to a parliamentary report. May has promised to end EU freedom of movement after Brexit, but she has yet to publish her plans for a new immigration system. She wants migration controlled but says Britain should also attract the "best and the brightest" from around the world. To that effect, on Wednesday the government announced a new "start-up" visa for technology entrepreneurs, which will replace a visa route that was previously only open to graduates. The promise of ending the huge influx of EU migration into Britain in recent years was a key element of the campaign for Brexit, and remains a central issue for many voters. "They are not against all migration, but they want a sense that we can turn the tap on and off when we choose to do so," opposition Labour MP Caroline Flint said this week. Migration Watch, a pressure group demanding tighter controls, reacted with disappointment to the government's changes on doctors visas. "It may be necessary, at least temporarily, to cope with the prospect of Brexit, but in the longer term the answer has to be to train our own medics and not take them from countries that need them far more than we do," chairman Andrew Green told the Daily Telegraph. The government is seeking to train more staff, funding an extra 1,500 medical school places from September, but critics note it will be years before those students are qualified. After Brexit, hardliners want to exclude all low-skilled migration from the EU and beyond, and tighten restrictions on skilled workers. But others believe the answer is a more flexible approach. The government has a blanket annual target to reduce all non-EU net migration, including foreign students drawn to Britain's elite universities, to less than 100,000. Critics, who reportedly including some of May's ministers, argue this target is arbitrary and also unrealistic, with the figure currently standing at 244,000. In a recent report, the left-wing think tank IPPR suggested migration targets for different skill levels, and visas tied to work for a particular employer in a particular region to help spread economic growth across Britain. Businesses are concerned that a rapid reduction in migration after Brexit could leave them without the staff they need. Some farmers have already warned that a drop in EU seasonal workers since the referendum vote in 2016 has left food rotting in the fields. Matthew Fell of the CBI business lobby group welcomed the changes to doctors' visas as recognition of the role of "international skills and talent". "A successful migration system should focus on people's contribution to the UK economy and society, not numbers," he said.